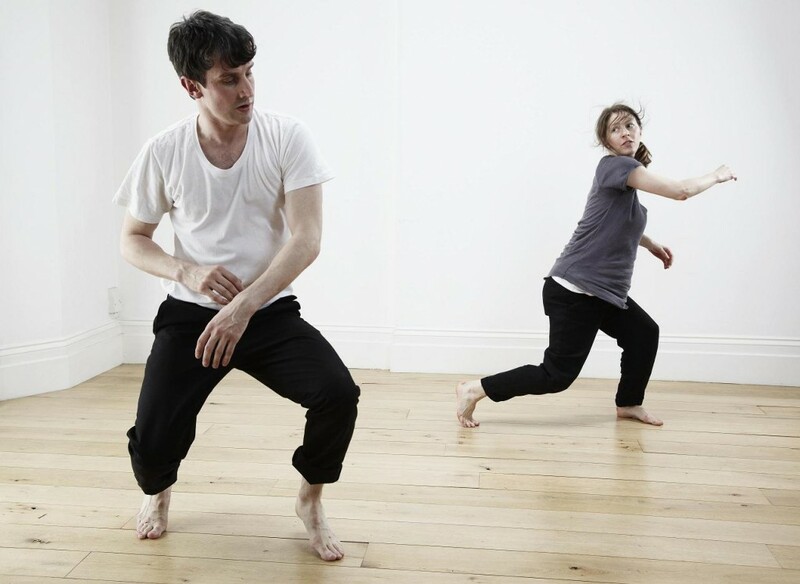 Hamish MacPherson and Martine Painter are choreographers, performance makers and dancers with a shared love of numbers and simple stylised movement. In 2011 they worked as dance artists in Eva Recacha‘s Choreodrome research, and performed in ‘Life and Other Games’ as part of the Touch Wood season at The Place. Hamish has been performing his own work since 2010 as well as in pieces by Alexandrina Hemsley and Tino Seghal. He came to dance after studying art and philosophy and working as a government policymaker and is currently studying for an MRes in Choreography and Performance at the University of Roehampton. Martine is a dancer with a history of cross-disciplinary live performance making. Since 2010 she has choreographed one group work and two duets. Her work is characterised by the use of tight elliptical structures. She has recently performed for Jose Campos and participated in research by Antonio de la Fe Guedes. She has taught dance to learning-disabled adults and Movement in Performance classes for drama students.